Why That Minneapolis Duplex On The MLS May Already Be Sold | Your best resource for buying, selling, owning and investing in duplexes and duplex homes. I appreciate it when clients search the Internet for properties they’d like to see that I may have missed. When they do, however, I find myself explaining one thing: if the property is listed as active, that does not mean it isn’t sold. First, after the seller has accepted a purchase agreement, there are still contingencies the buyer wants. One of these may be a home inspection. While the length of time in which a buyer can conduct an inspection is negotiable, most occur within three to five business days. As this is the period of time with the greatest likelihood of the buyer walking away, most agents feel it is in the seller’s best interest to leave the property active on the MLS during this time. When a buyer’s agent attempts to set up a showing of the property, she is told it is “sold subject to inspection”. Most Realtors don’t want to show their clients a duplex they could fall in love with and not buy, so they don’t show the property. 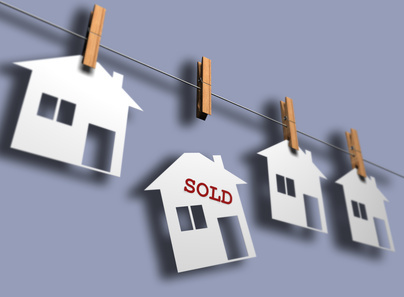 In today’s market, there is another reason a property may appear active but be “sold”. And that’s in a short sale. Short sale properties often receive offers, which the seller accepts. However, before it can change hands, the bank who holds the mortgage has to agree to take an amount less than what they’re owed. This process can take anywhere from two to six months. Needless to say, many people get tired of waiting to hear whether or not they got the house. Three months go by, maybe four, and they back out of buying the house. Had the seller’s Realtor removed the property from the MLS, he would have lost valuable market time. So, in the agent’s comments of the MLS listing, there is some reference made to an offer being in to the bank for negotiations, and that while others may be presented, they will be in a back-up position unless the first grows tired of waiting.